On Tuesday September 19, at approximately 10:07 pm, Deputy Hunter Deason made a traffic stop at the intersection of Kell and Grant. The 22-year-old female driver and an 18-year-old male passenger were issued citations for possession of drug paraphernalia. On Tuesday September 19, at approximately 10:46 pm, Deputy Josh McGuinn made a traffic stop at the intersection of Arthur and Ave. S. The 35-year-old male driver was placed under arrest. He was transported to the Wichita County Detention Center and was charged with Driving While Intoxicated 3rd or more offense. On Monday September 18, at approximately 8:25 pm, Sergeant Ralph Burdick made a traffic stop at the intersection of F.M. 369 and Kell Blvd. The 27-year-old male driver was issued citations for No Drivers License and Failure to Maintain Financial Responsibility. The vehicle was impounded. On Tuesday September 19, at approximately 1:36 am, Deputy Caleb Myers made a traffic stop at the intersection of Grant and Ave. R. The 51-year-old male driver was placed under arrest. He was transported to the Wichita County Detention Center and was charged with an outstanding warrant for Capias Pro Fine-Fail to Report Change of Address or Name. On Saturday September 16, at approximately 9:58 pm, Deputy Hunter Deason made a traffic stop at the intersection of Kemp and Maplewood. The 52-year-old male driver was issued citations for Driving While License Invalid and Failure to Maintain Financial Responsibility. The vehicle was impounded. On Sunday September 17, at approximately 12:39 am, Deputy Carl Magee made a traffic stop in the 3700 block of Callfield Road. The 20-year-old female driver was issued citations for No Driver License and Failure to Maintain Financial Responsibility. The vehicle was impounded. On Sunday September 17, at approximately 2:26 pm, Deputy J.T. Mitchell and Deputy Erick Jerrols made a traffic stop in the 2700 block of 9th Street. The 41-year-old male driver was placed under arrest. He was transported to the Wichita County Detention Center and was charged with Wrong, Fictitious, Altered or Obscured Insignia. On Sunday September 17, at approximately 3:22 pm, Deputy Jeff Lee responded to 1700 block of Cimarron Trail in reference to Contributing to a Minor. Upon arrival, the Reporting Person reported that a subject made alcoholic beverages available to minors while at a residence located in the 1600 block of Clover. On Sunday September 17, at approximately 12:41 am, Corporal Cole McGarry made a traffic stop in the 2700 block of Southwest Pkwy. The 17-year-old male driver was placed under arrest. He was transported to the Wichita County Detention Center and was charged with Racing on Highway. 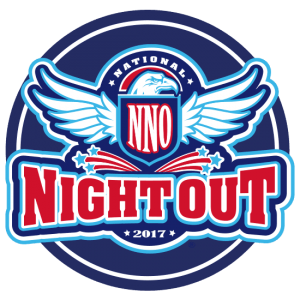 Join us Tuesday, October 3rd from 6pm to 9pm at the Kamay Volunteer Fire Department at 8537 SH 258 West for our National Night Out Celebration. There will be hotdogs, games, and police and fire equipment to explore. Join us Monday October 16th, 4pm-10pm for dinner at Texas Roadhouse. Texas Roadhouse is helping the Wichita County Sheriff’s Office Citizen Academy Alumni raise money and reach their goal for the Fallen Officer Memorial. Come enjoy great food and help out a great cause. The Alumni are so close to getting a memorial built to honor the county officers and firefighters that have given their lives in the line of duty.